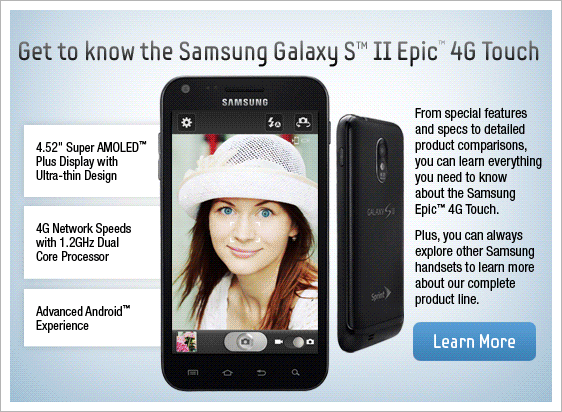 We've all been waiting for weeks - nay, months - for Sammy to bring the Galaxy S II to the US. 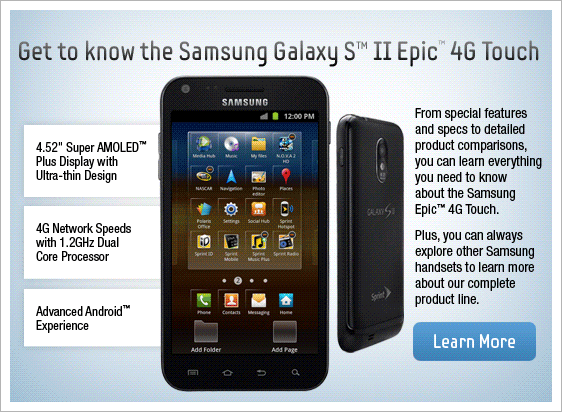 Announcement day is finally upon us despite a bit of a delay due to bad weather, but Sammy has already revealed the Sprint version of the GSII, named the Epic 4G Touch, ahead of tonight's event. The Epic 4G Touch will sport a larger, 4.52-inch Super AMOLED Plus display, verses the 4.3-inch screen of its global counterpart. This version will also include 4G WiMax connectivity and the familiar 1.2GHz Exynos processor. While we were hoping for a bump in processing speed up to 1.5GHz, the larger display is definitely a welcome addition. The event is set to kick of at 3:00 PT/6:00 ET this evening, so keep it locked right here for coverage of the remaining carrier's devices.